Source: A Selection of Outings. This special show presents 14 different formations playing more than 50 pieces of Zorn’s expansive new book of music during a marathon concert of more than 6 hours! 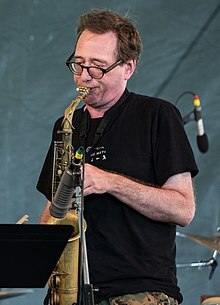 Between March and May 2015, famed saxophonist, clarinetist, composer and avant-garde producer John Zorn wrote 300 new compositions collected in a music book called The Bagatelles. The group includes close members of Zorn but also musicians from the worlds of jazz, rock, classical music. With John Zorn, Dave Douglas, Marc Ribot, Craig Taborn, Mary Halvorson, John Medeski, Julian Lage, Kris Davis, Joey Baron, Peter Evans, Gyan Riley, Brian Marsella, Kenny Wollesen, Sylvie Courvoisier, Ikue Mori, Mark Feldman, Erik Friedlander Greg Cohen and many more!